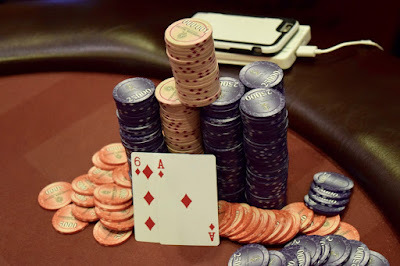 @JohnQTD just announced cards are in the air for Event 6 in the WPTDeepStacks Championship Series - a $235 that redraws to 6-max when down to the final 36 players. Toss in a $10,000 guarantee to go along with the 12,000 starting stacks and 30-minute levels once registration closes at ~7:20pm - the start of Level 6. Meanwhile, today's $235 Omaha8 is down to 27 entries, with 12 cashing and $5,647 up top.